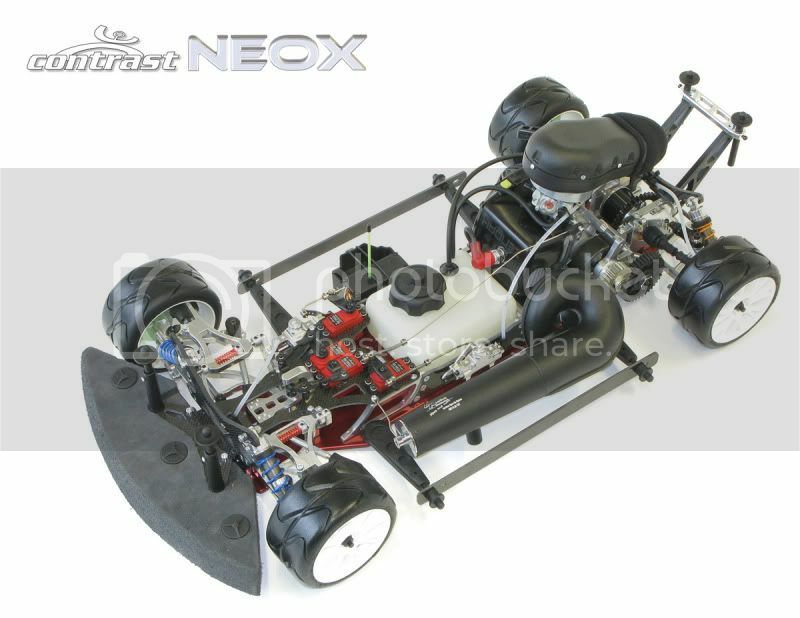 The NEOX have a bigger presence of Carbon fibre together our best aluminium 7075T6. 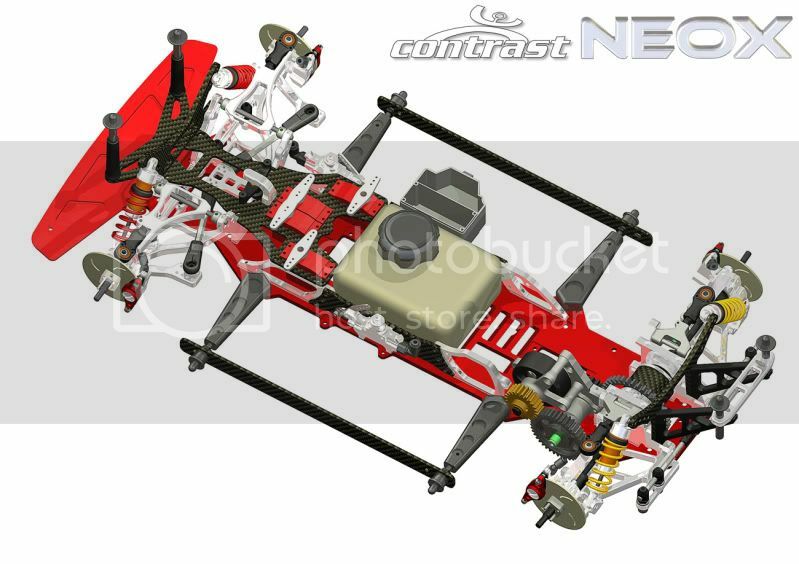 Both materials working together offer the best flexibility and rigidity in the chassis beside a racing look, hardness and lightness. 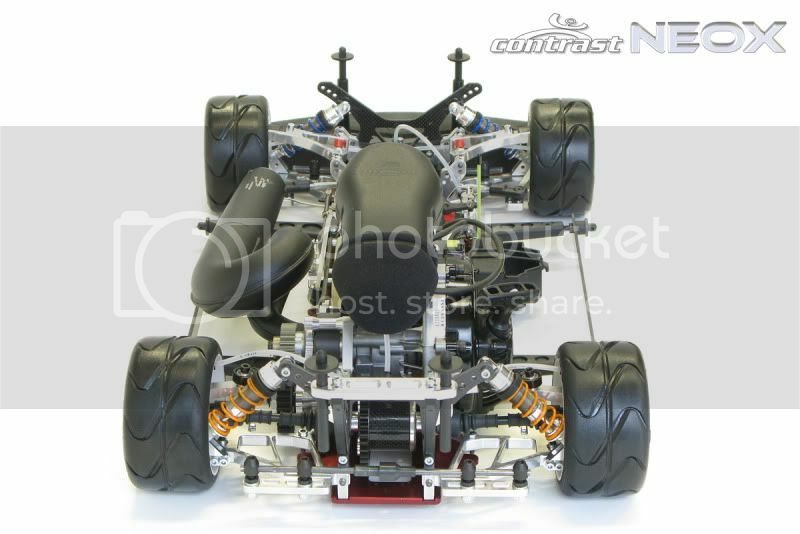 1) New chassis 8 mm shorter. 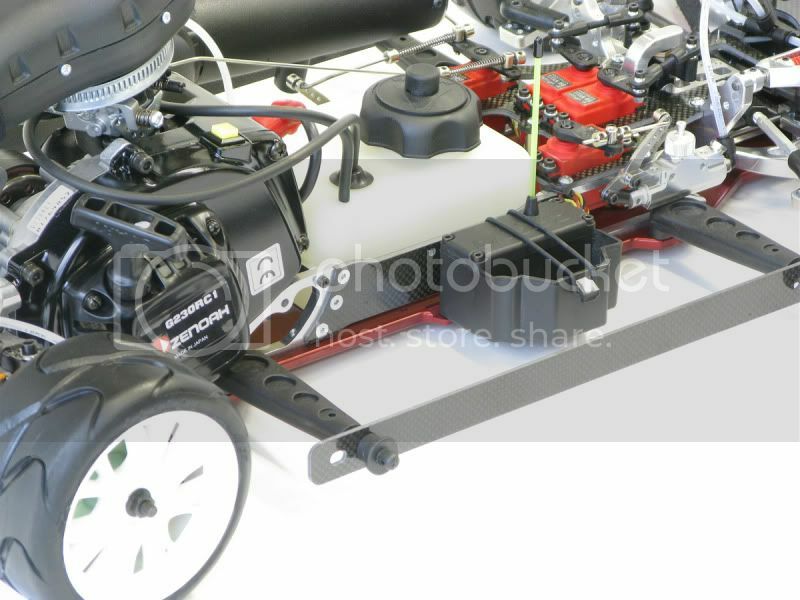 With two possible wheelbase 527 mm and 519 mm. 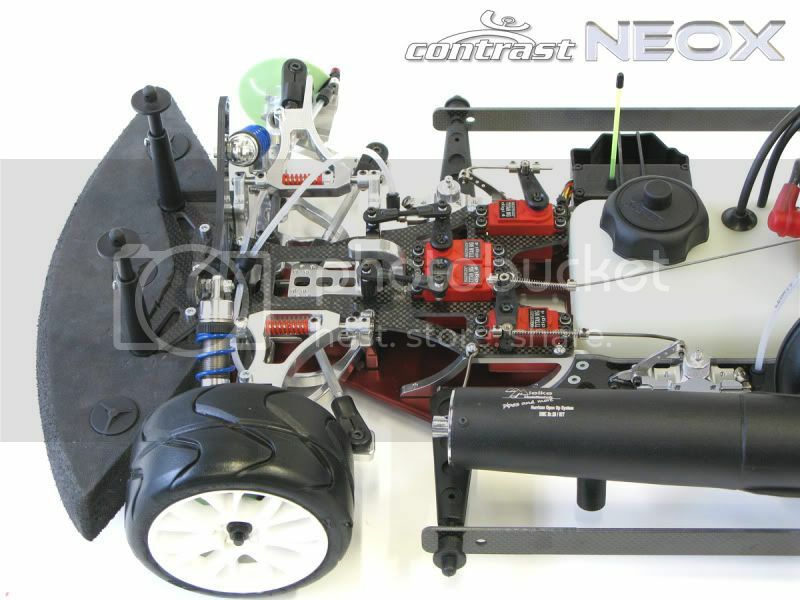 The shorter wheelbase of Neo 2.5 ‘09 is the longer wheelbase of NEOX, and it have other new position 8 mm shorter. 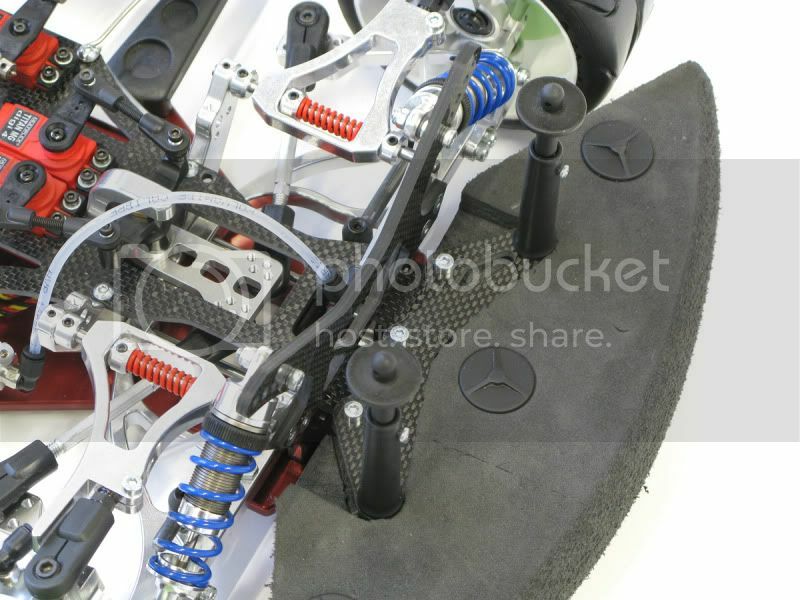 2) New front uprights with king pin 0º and new roll centre to improve the easy drive in fast corners. It let to use new tyres GRP C in front axle. 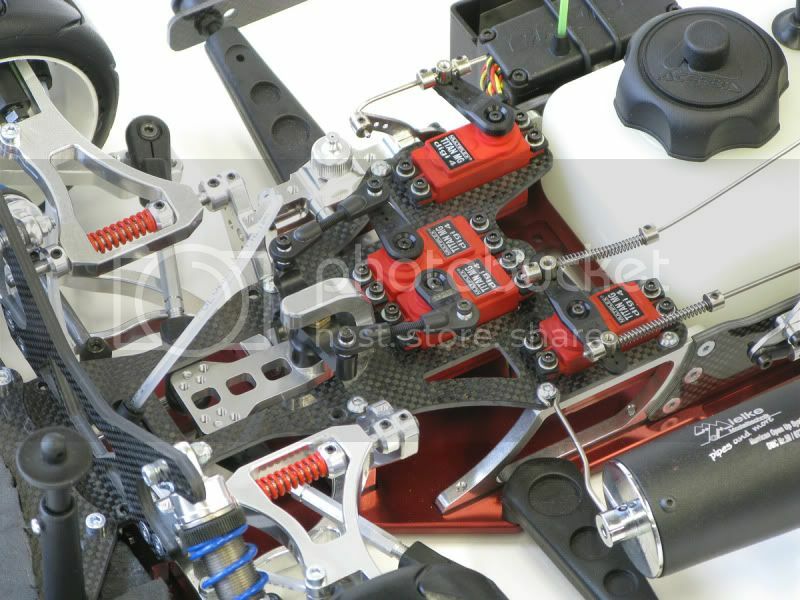 3) New side chassis mounts with a middle part adjustable in carbon fibre. 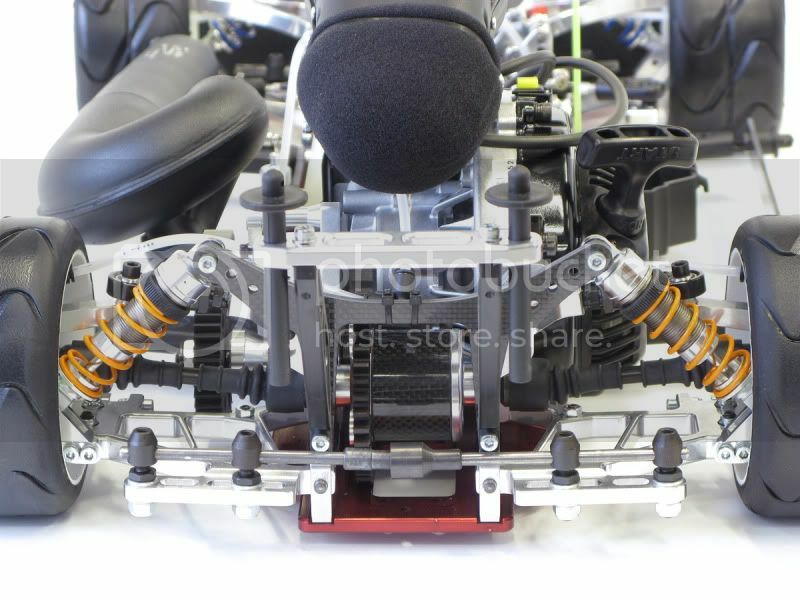 Adding or removing screws you can change the chassis rigidity. 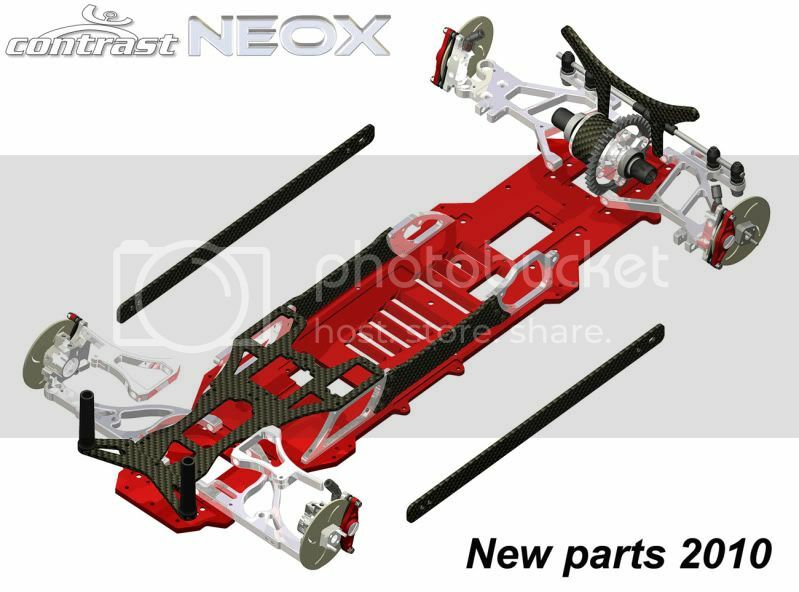 4) New lower front wishbones with nice design and less interference with the upright and suspension movements. 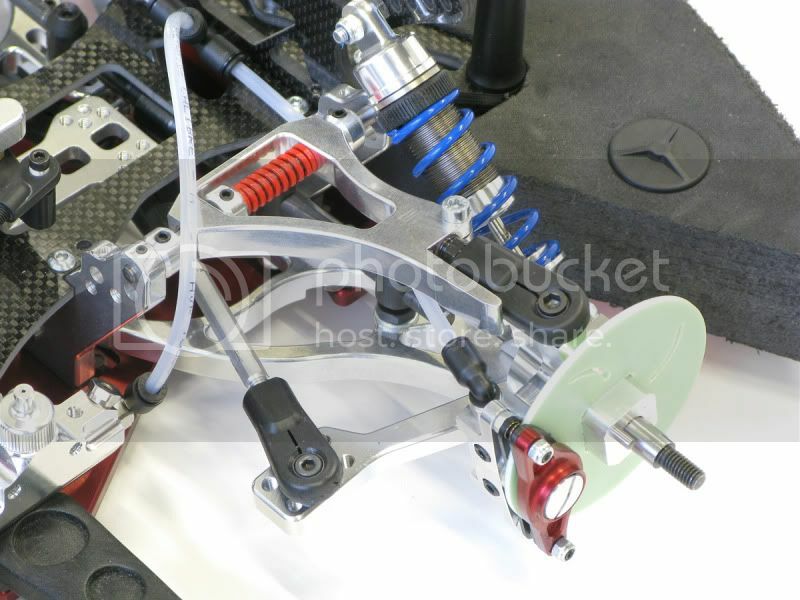 5) New upper front wishbones with nice round design and easy system to fix the turnbuckle and rod end of the upright. 6) New radio plate in carbon fibre for two small servos. 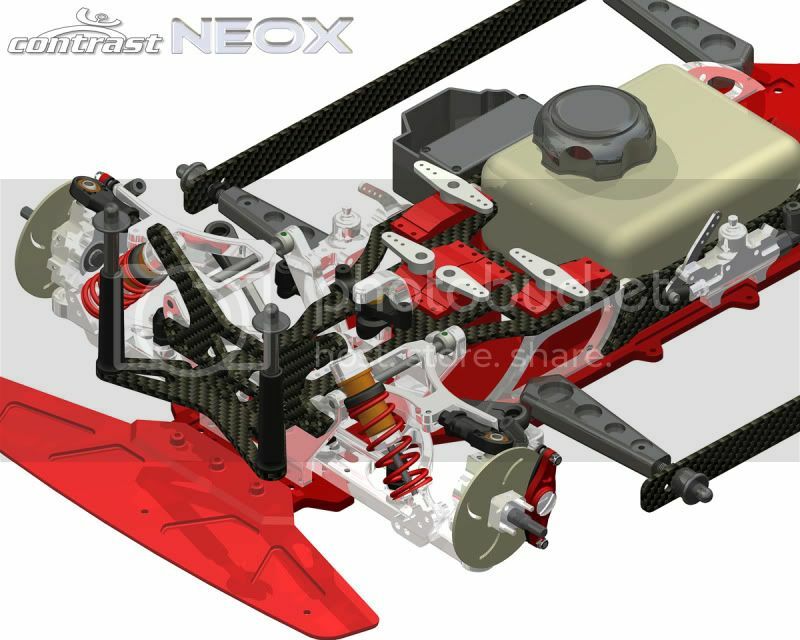 Better and nice design with 9 fix points that let to remove the 4 main screws to the side mounts and to have a very smooth chassis, good for rainy conditions. There is a optional radio plate for one big servo, Rhino size. 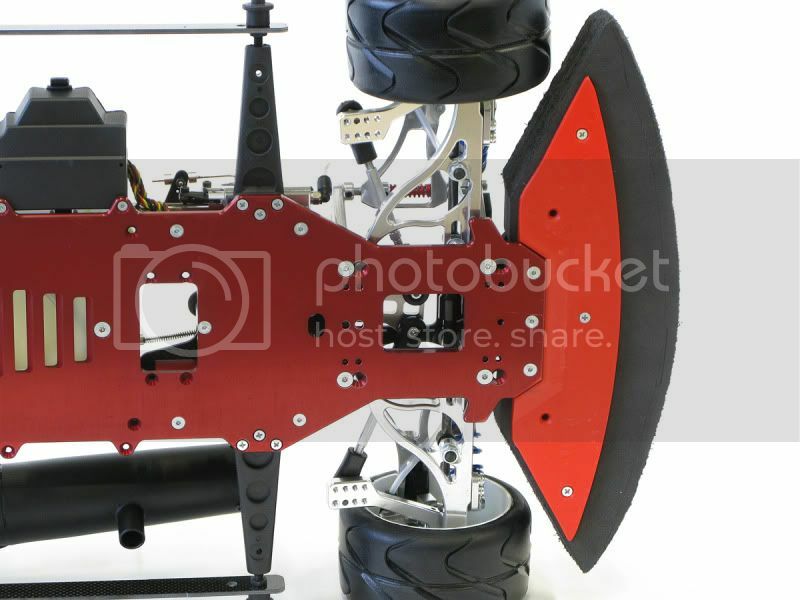 7) New front support for body shell with wide and advanced position to fix the body without vibrations. 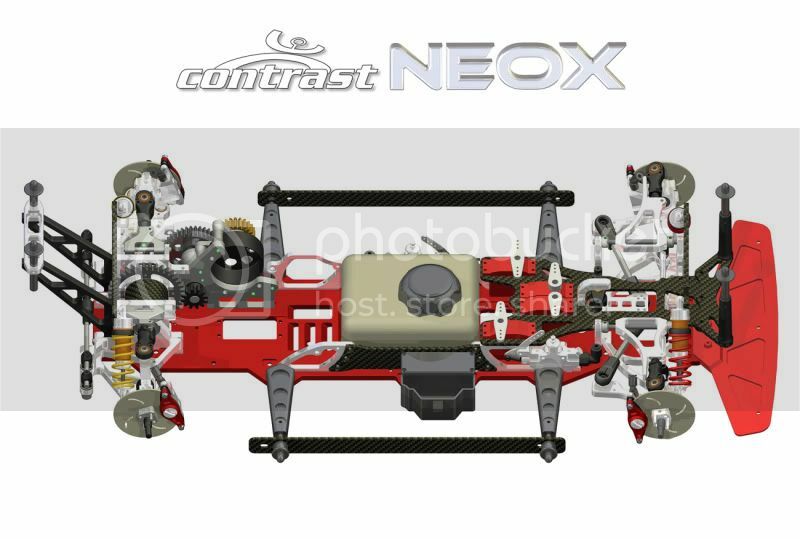 8) New side protections in carbon fibre adapted to NEOX and Neo 2.5 ‘09 body side mounts. 9) New external cover of the brake’s callipers. 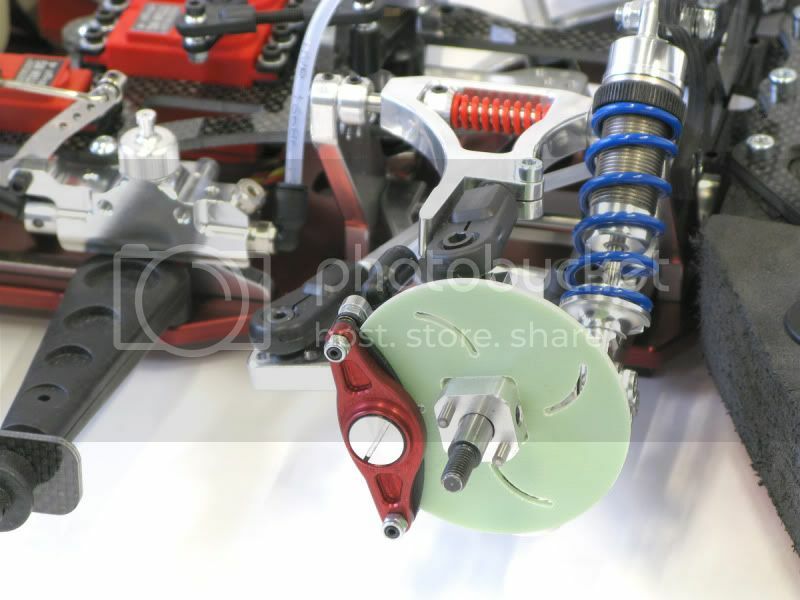 Very hard and light with a big screw to a fine and easy adjust of the shoes and disk. New disk of white-green fibre. 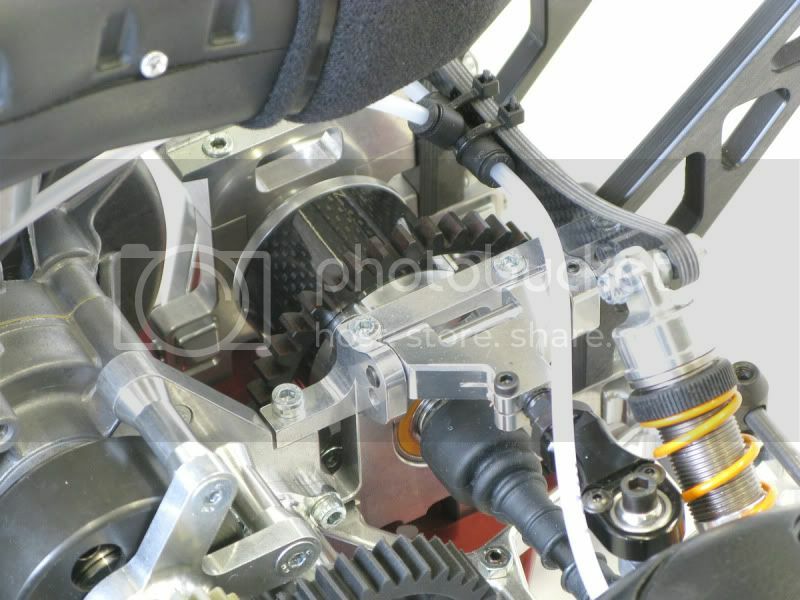 10) New rear shock support in carbon fibre. 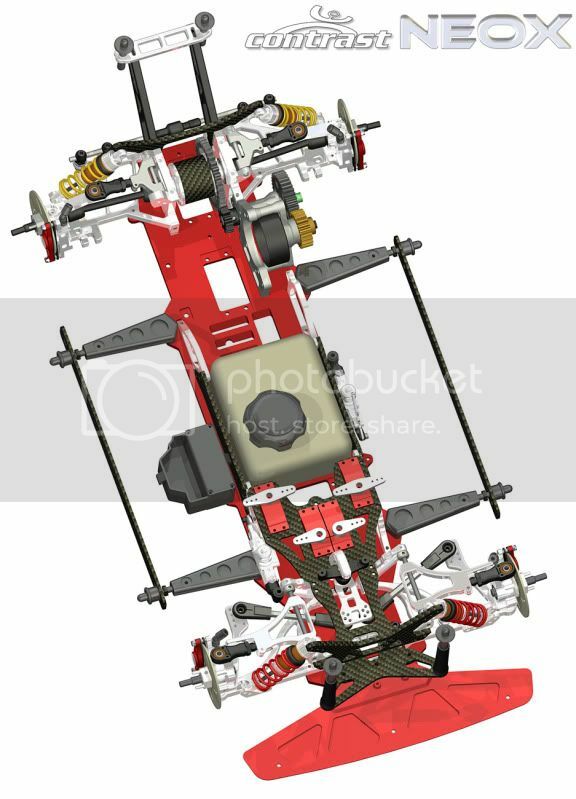 11) New rear lower wishbones with a new system to adjust the toe in and better rigidity that avoid the vibrations of the upright when throttle. 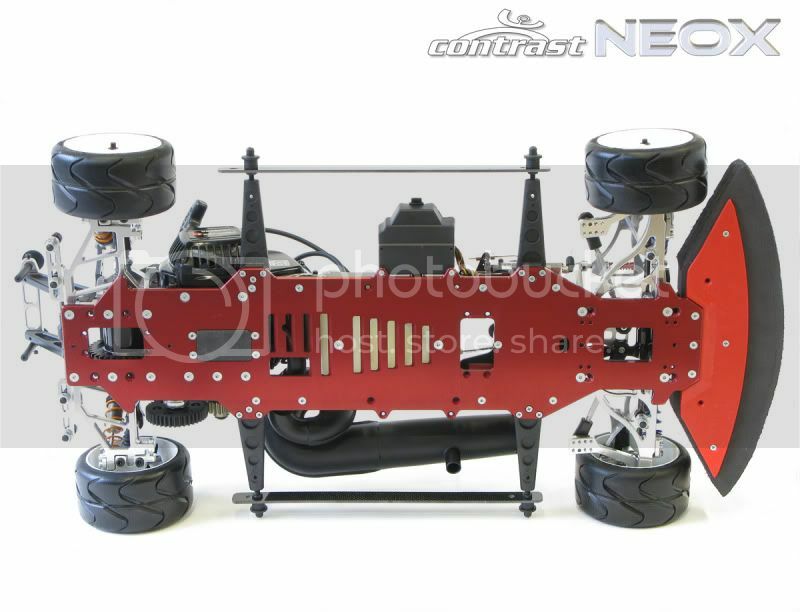 12) New Hybrid Differential that will offer you a new level of traction unknown for you until now. 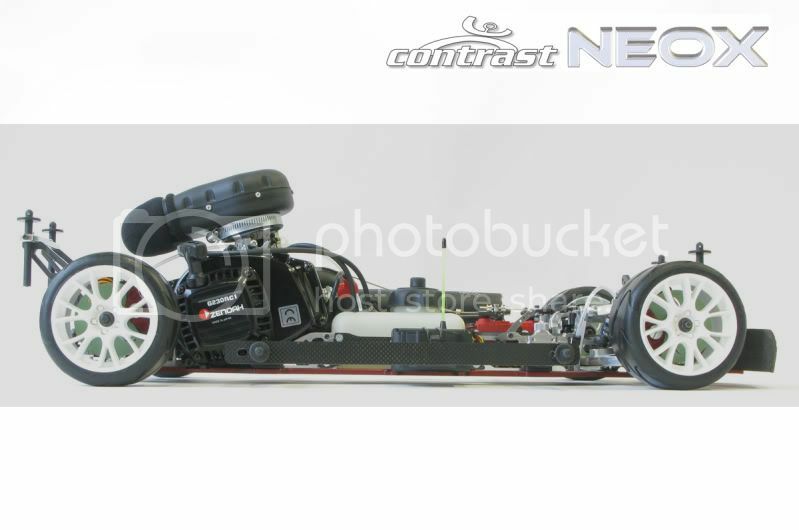 13) New rear adjustable roll bar 5 mm thicker. Foto's zijn toch mooier als de computer plaatsjes..